Earlier this week I mentioned that this Friday (today!) is Space Day! In honor of Space Day I have a little treat for you of you. Two different publishers have offered a copy of each of the following titles to one of my readers here at Reading to Know. And they are? Meet the Planets , by John McGranaghan is a new Spring release from Sylvan Dell Publishing. In this book the planets are competing a Favorite Planet competition which is being emceed by the infamous dwarf planet, Pluto. Each planet is introduced in the competition with a variety of facts, causing the children to glean information while perhaps engaging in a little friendly competition. At the end of the book, of course, you can vote for your favorite planet and decide which you think is best! This is an interesting and clever way to present facts, in my opinion. I think it's a fun title to have on hand for younger readers who are just beginning to explore beyond on our planet, Earth. Now, Fool Moon Rising is not a scientific book but it is a personal favorite and since our main character is the moon, I'm going to talk about it again. (You can see my full review of Full Moon Rising by clicking on this last link. I actually thought this one was awesome enough to nominate it for a Cybill. Not that I expected it to win, but I did want to give it a nod because I think it's a FABULOUS book!) Published by Crossway Books, this tells the story of a fool moon who thinks he's "all that." As it turns out, he learns that he reflects the light of the sun. There is a spiritual message to it, of course, and I think it's worth taking a peek at. This has been a much enjoyed picture book around these parts and I was excited when Crossway said that I could offer up a copy to one of you. With thanks to both Sylvan Dell Publishing and Crossway Books for their generosity, I invite you to enter the drawing to win these two titles. Simply leave a comment below if you are interested. This contest will be open through Thursday, May 12th and is open to U.S. Residents only. THIS CONTEST IS NOW CLOSED. THE WINNER (as selected by random.org) is #21 - ALISON. Congrats! Also, if you did come up with a fun way to celebrate Space Day with your family, please let me know in the comment section! These books would be great additions to our library...thanks for the giveaway! I did not realize it was space day. Thanks for the heads up; I will certainly pull out our space related books for tonights reading with my boy. We have Full Moon Rising, and we love it! It is such a great book. 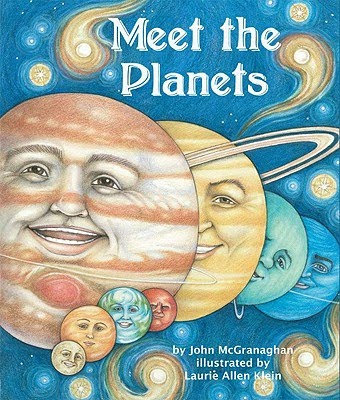 We do not have Meet the Planets; it sounds like one my boy would love. If I were to win this giveaway, I would certainly gift Full Moon Rising to friend with children. They would love it. These look really good! Thanks! Awesome. 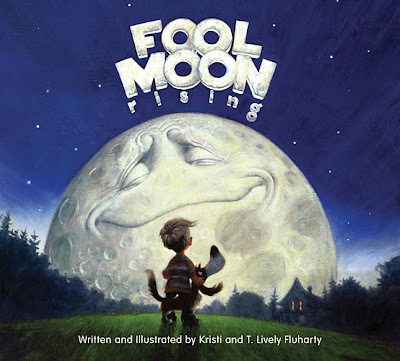 Love your review of Fool Moon Rising! As always, thanks Carrie for the book recommendations! Those look great! I can't wait to study earth science with my kids. That second book sounds great! Next year we are studying astronomy and I hate to admit that I am kind of dreading it. I need to make myself get a little more excited about it before the year starts! Despite your heads up, I don't think we will manage to do anything special. We don't have but I think they look great...and know Meet the Planets is cute. We celebrated Space Day by receiving a brochure and a couple pictures from Uncle Larry, who lives in a condo overlooking the launchpad on Cape Canaveral. I've officially decided that I no longer need to guilt myself into not entering giveaways for children's books. After all, I'm almost an aunt--and I'm bound and determined to be one of THOSE aunts (with a house ready to engage the mind of an inquiring youngster). Both of these books look like great fun. I would love to win these for my grandsons! Thank you! I would love to win these for my grandson! I'm interested. Thanks for offering this giveaway. I would love to win these for my granddaughters (3 of them at this point - another grandbaby arriving in a week or so!). Kyle is very into space (and many other topics!). I'd love it. Both of those look like a lot of fun and would be enjoyed at my house! I had no idea it was Space Day or that a Space Day even existed! Both of these books sound awesome, especially for my 4 y.o. who currently loves all things space related. M is in love with the moon right now thanks to reading Goodnight Moon over and over again. He would love these. I'd love to have this book for my little boy. Thanks for the giveaway! We would love these books. Thank you! We love space! These would be exciting reads for us.